The perennials "crash course" for the gardener. 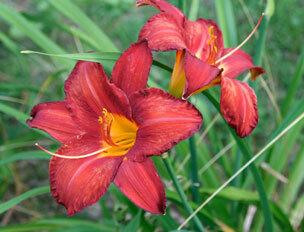 Perennials are easy to grow, easy to propagate, and offer gardeners a fascinating variety of colors, forms and textures. Armitage's Herbaceous Perennials for the Sun is an online certificate program authored by the Dr. Allan Armitage, one of the world's leading experts on and researchers of perennials. In the course, you will read and hear Dr. Armitage’s insights on how to plant, propagate, and care for 20 of his favorite perennials. The course is online, so you can progress at your own pace, on your own schedule. You’ll be using Dr. Armitage’s renowned textbook, Herbaceous Perennial Plants: A Treatise on their Identification, Culture, and Garden Attributes. Other resources include online access to the professor’s audio clips, interactive exercises, and end-of-lesson quizzes that provide instant feedback. Group Discounts are available for organizations registering 5 or more participants. For additional information about group enrollments, contact Pam Bracken at +1-706-542-3537. Prices are listed per person. Textbooks are not included in course fee, see below for order information. The Georgia Center will gladly issue a full refund if you cancel before we send you course access information. You may receive a refund less a $50 administrative fee if you cancel after we send your access information, provided that you have not accessed the course at all. Once you access the course, you are no longer eligible for a refund. During the first 30 days of your course, if you have not completed any course work, you may opt for a one-time transfer of your enrollment to another student for a fee of $50; the new student (i.e., substitute) would have up to three months from the transfer date to complete the course. To cancel your enrollment or to submit a transfer request, please send an email to student@georgiacenter.uga.edu. 2.4 Continuing Education Units (CEUs) from the University of Georgia. Definition of CEU. This is a self-paced, self-study course. The course is authored by Dr. Allan Armitage. He is well known and highly acclaimed as a writer, speaker and researcher. He is recognized as a leader in introducing outstanding plant varieties to the industry. At the University of Georgia, he runs the research gardens where new plant material from most of the flower breeders in the world is evaluated. The Trial Gardens at UGA are among the finest trial gardens in the nation. They are open to the public throughout the year. For more information on Dr. Armitage view About the Course Author. Required Textbook: Armitage, Allan M. Herbaceous Perennial Plants: A Treatise on their Identification, Culture, and Garden Attributes. 3rd Edition, Stipes Publishing. 2008. (ISBN 9781588747754). The required textbook must be ordered separately from your course enrollment. Suggested Textbook: Armitage, Allan M. Armitage's Garden Perennials: A Color Encyclopedia. Timber Press. 2000. (ISBN 0881924350). This textbook is not required but will be an excellent resource for your personal library. Suggested Textbook Vendor: You may order these textbooks from any textbook vendor/supplier, online at this website, or at from MBSDirect at 1+1-573-446-5299 or +1-573 446-5254 or 1-800-325-3252 (U.S. only), or online. Textbooks will be shipped independently of your online course access details, so you should allow extra time for its delivery. A modern browser adhering to web standards is recommended for optimal viewing. If possible, please use a robust browser such as Chrome, Firefox, or Safari. Throughout the online course you will encounter many images, maps, links to external websites, animated exercises, and audio/video clips. To take full advantage of all these features, you will need a Windows- or Macintosh-based computer with a browser and a Flash player. A fast Internet connection is highly recommended. View Technical Requirements for more details.